Well, it appears that I can’t tell the time, so I missed a poetry event I had planned tonight. 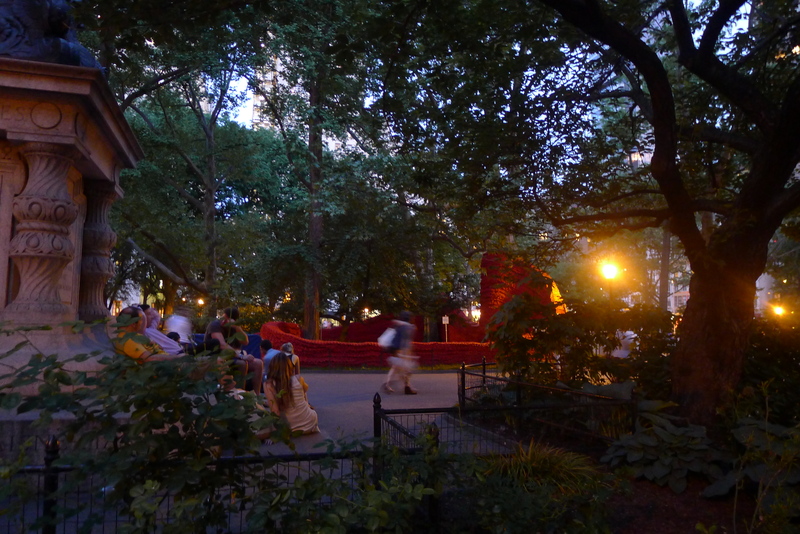 Thankfully this is New York and there is always plenty of last-minute – and free – stuff going on. 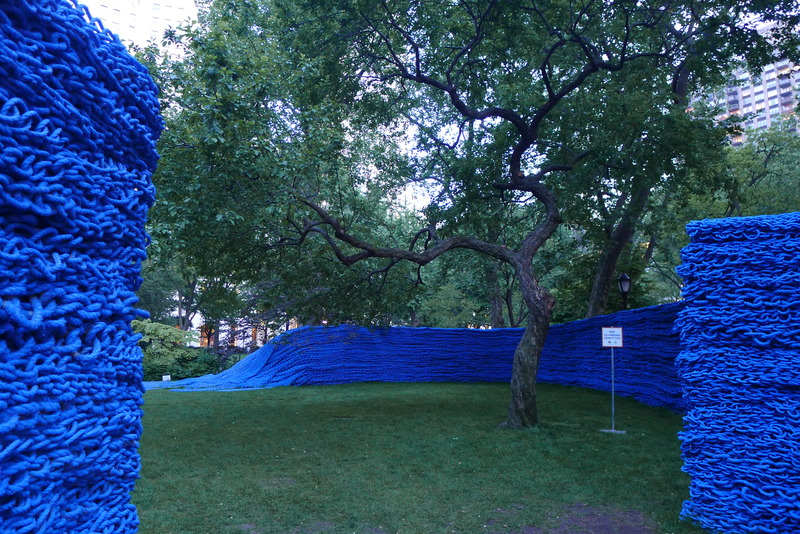 I jumped on the Q to Madison Square Park to see their latest outdoor art exhibit, Red, Yellow and Blue by Orly Genger, who lives across the river in Brooklyn. This actually worked out better than any indoor reading because it was beautifully warm (it’s time to pry me away from the cardigans) and New Yorkers were out making the most of it. 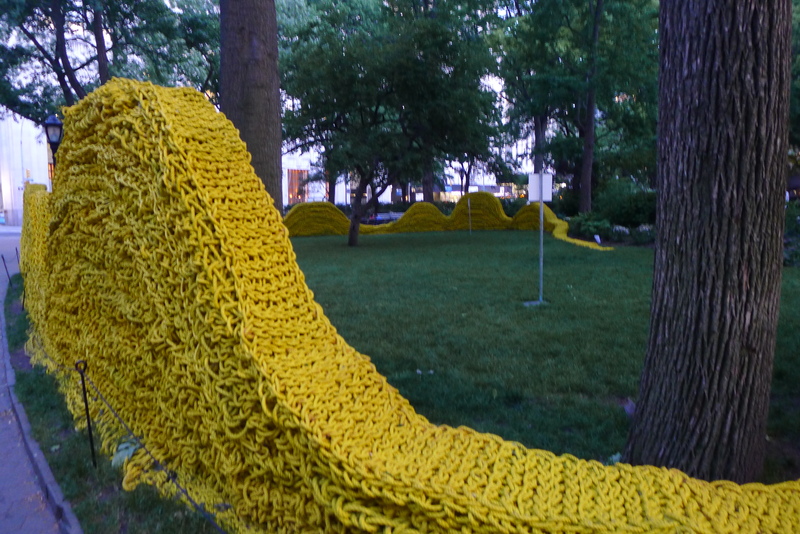 The exhibit is the largest crochet I have ever seen – and it’s probably the largest in the world, too. 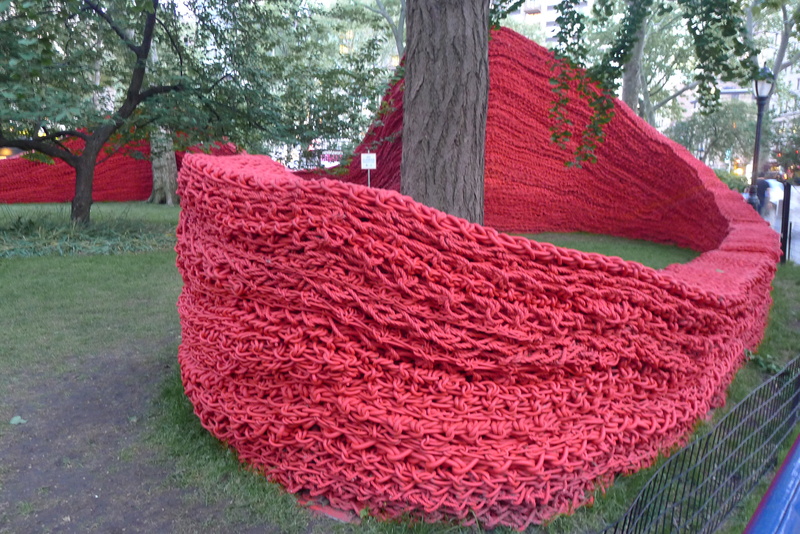 The curved forms, which emerge from the ground like whale humps, are made of 1.4 million feet of rope that took two years to knot by hand. 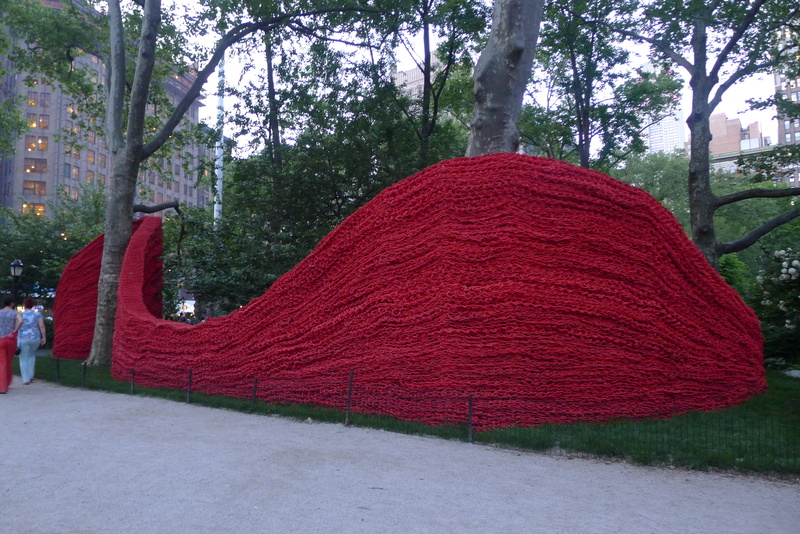 There are three in total – one red, one yellow and one, er, blue – in separate sections of the park. 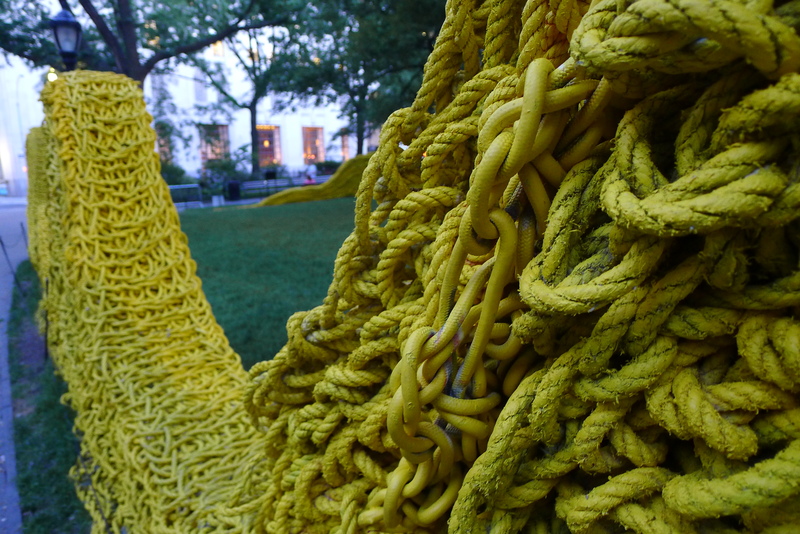 The pieces, which were painted with 3,500 gallons of paint, both stand out and integrate with the park – purposefully meandering around trees or following the circular shape of the lawn. The artwork has been an Instagram mainstay for the past few weeks, so I was looking forward to checking it out, but I didn’t love it. 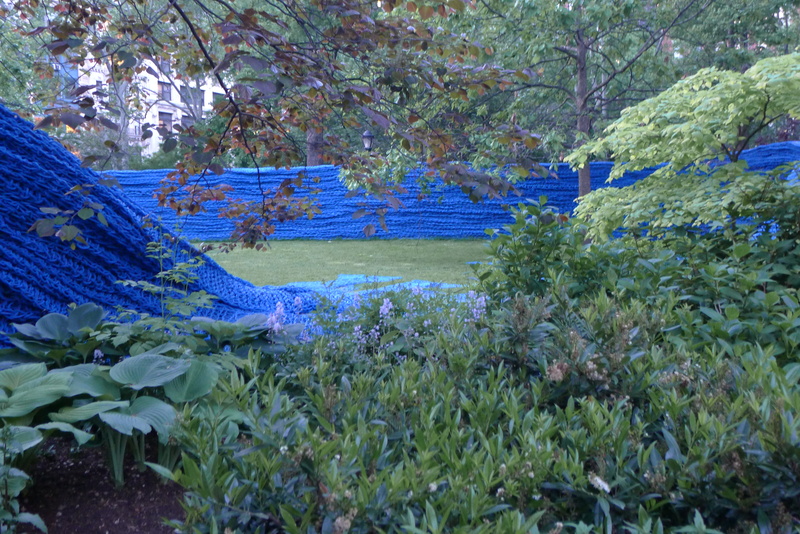 The blue form was so high and dark, and it kind of blocked off its area of the park rather than showcasing it. 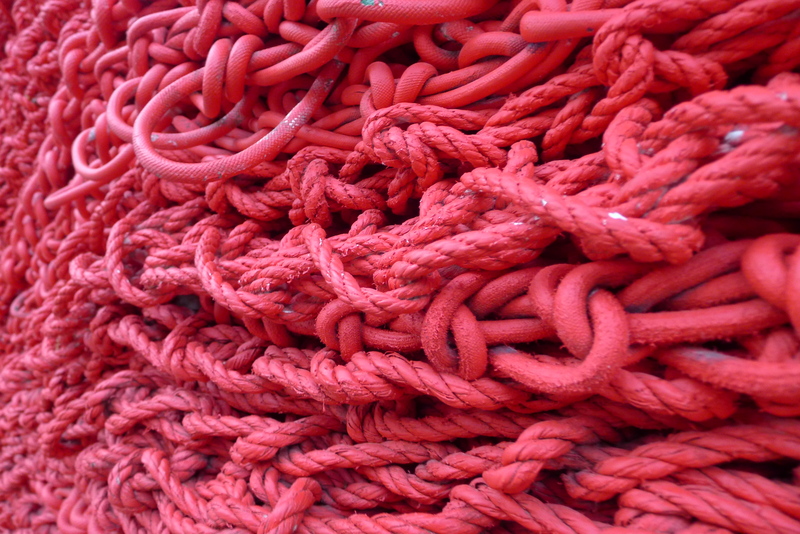 Still, it’s some feat to twine all those ropes together. There’s a really great photo of Genger on the New York Times in which she has her fingers covered in plasters, in a nod to her commitment. 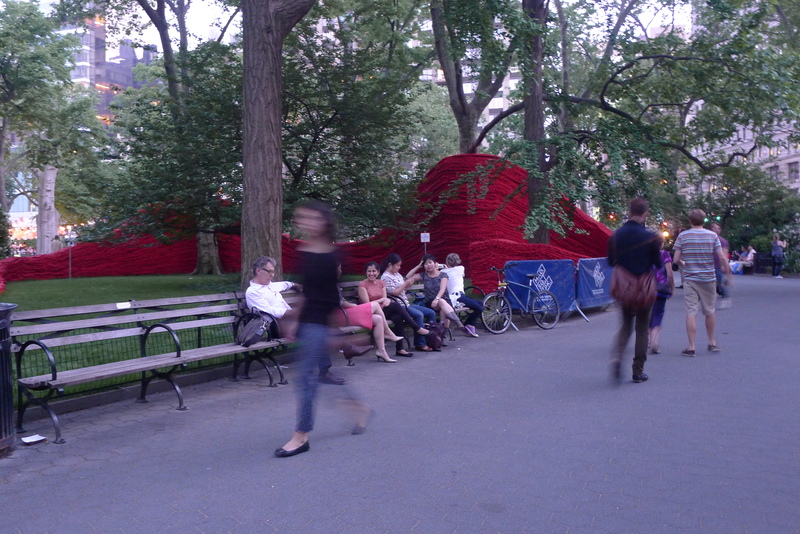 And it’s pretty impressive that Madison Square Park Conservancy’s largest ever installation is a massive crochet, rather than another form which would be far less labour intensive. 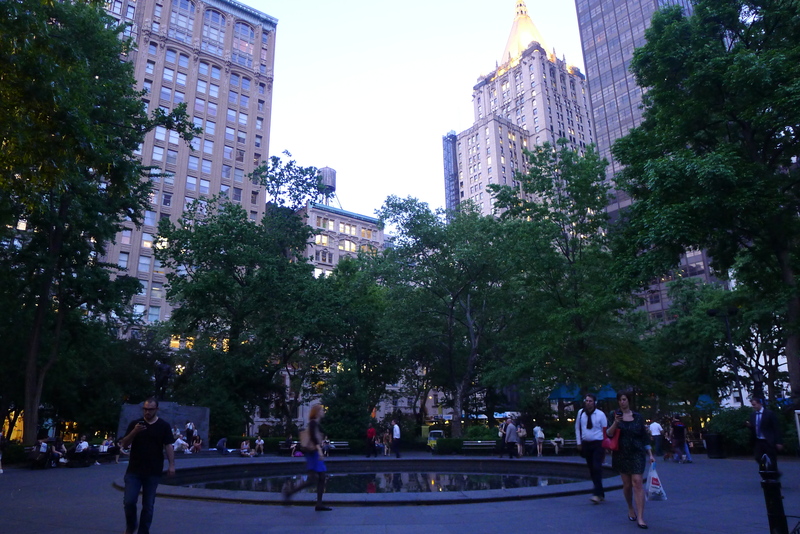 Plus the park is always a lovely treat – and it meant I was right by Madison Square Eats! So I went back for more. Today was also the day I donated money to the Red Cross for the residents of Moore, Oklahoma after the massive tornado yesterday. You should too!